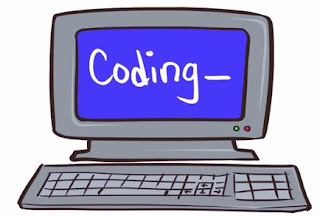 Top 10 websites that will teach you coding. According to me, Learning the code is one of the most difficult thing. Are you looking ? how to learn code ?? Yes here's the way. We are living in 21 century and you have millions of resources out there, you can easily go there and learn computer programming. In This Post, We are going to tell you "Top 10 websites that will teach you coding". You can visit these 10 great website and learn coding easily. Codecadaemy is one of the best online platform and most popular online training website for beginners and also for professional. Where you learn coding in free, codecademy offers you courses to learn the code. As a blogger. I felt that codecademy is the one of the best website for learn coding and website design. you can choose to learn specific coding languages such as HTML, CSS, Java Script, J Query, PHP, Python, Ruby etc. Codecademy has a simple interface, It is very helpful for beginners. Treehouse is one of the best website. Here you can learn Coding, Web Designing, Web Development, App Development, And Game Development And much more by team of expert. It offers you 1000+ high quality video courses by professional. If you want to learn new things, You can go for Treehouse. It is also very affordable. I'm really impressed by this sites, the practice section has been specially valuable, CodeFights much more enjoyable to use, CodeFights is the most fun way to practice your programming skills. It support almost all programming languages. It offers you head to head game challenge. In this game, If you think you can code better than your friend or co-worker, challenge them or a random code fighter to a head to head match and find out. Edx is an other best website, Edx is a MOOC (Massive Open Online Course) provider. This website is not only for coding, It hosts Online University level courses. Edx will provide you many learning programs such as Computer Science, DATA & Statistics, Business And Management, Computer Programming Languages, Biology & Life Science. If you are looking to brush up on your skill and want to learn new things then Edx is for you. Coursera is a good website for those, who want to learn a lot in one place. Coursera provides you lots of learning programs in different categories. It's also MOOC (Massive Open Online Course) provider, Same as Edx. It provide you Online specialization and Degree in variety of subjects such as Engineering, Humanities, Medicine, Biology, Social Science, Mathematics, Business, Computer Science, Digital Marketing, Data Science and many more. This website will help you increase your knowledge. This is not for beginners, HackerRank is designed for professionals, Millions of professional programmers use HackerRank to improve their coding skills by solving challenges, This is much similar as Codefight. The HackerRank community is one of the largest learning and competition community for programmers. Khan Academy is one of the best website. This is a free online coaching platform, Students who can not afford a coaching, can refer to this website. It has almost all subjects such as Math, Science, Computer Science, Art & Humanities, Economics etc. You can also learn coding at khan Academy. CodeHS is basically for beginners. Here you will teach, How to code ? CodeHS provide everything you need with it courses for every level of student. It has simple user interface and fun game programming lessons that will help you to increase your program solving skills. Udemy is an other good online learning platform, you can learn coding and improve your coding skills in very affordable price. Udemy also provides free courses, Here you can learn HTML, CSS, Python Etc. It has simple user interface same as other websites. No matter you are beginners or professional, Code Avengers is one of the best website for everyone. You can also learn Web development, Computer Science, Web Designing Etc. In this post, You learned about "Top 10 websites that will teach you coding.". And please give your important feedback in comment section.